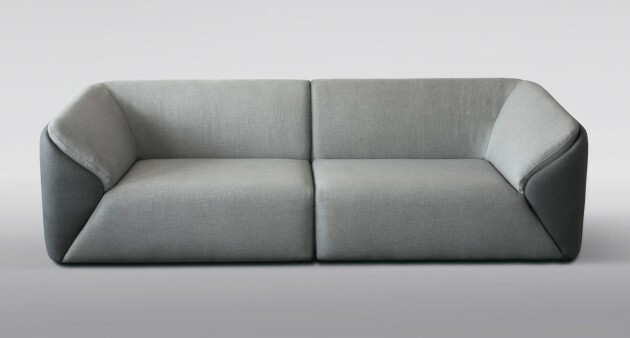 British furniture brand Boneli will launch the Sofa 60 SLICE at 100% Design next week in London. 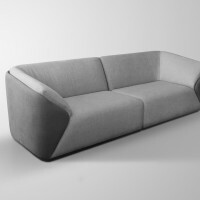 The sofa consists of two elements – hard outer shell and soft inner cushion. 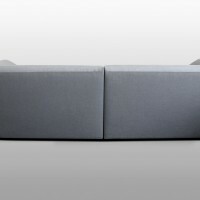 The outer shell protects the sofa from the outside world and the inner cushion provides comfort to its user(s). 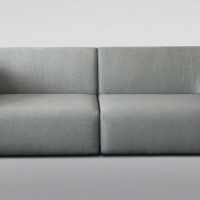 In a way the sofa “functions” similarly to the protective mechanism used by many species – armadillos, hedgehogs, sea shells, etc; it protects and provides comfort to the pearl that sits/lives inside (i.e. the person sitting on it). 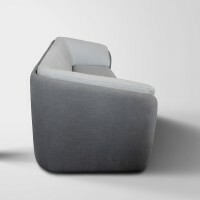 Interesting feature of the design are the steep and extra-cushioned “armrests”, which could be used as additional backrests. Press your back against them while reading the newspaper or your favorite book. 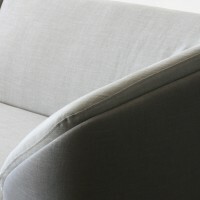 The name “SLICE” was given because of the way the front triangle slices into the inner cushion. Visit the Boneli website – here.